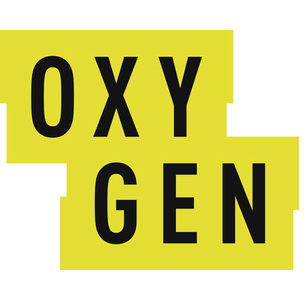 Oxygen is ready for summer. This week, the network announced the new premiere dates for In Defense Of and The Price of Duty. “The Price of Duty” premiering Monday, June 11 at 8pm ET/PT follows dedicated detectives from across the country as they recount their stories of complex cases that have emotionally impacted and changed their lives forever. Each episode explores the emotional rollercoaster of how investigators sacrificed their personal lives to solve these seemingly impossible cases. They shed their stoic exteriors to expose their vulnerability and reveal the personal struggles they endured while working tirelessly to solve these unthinkable crimes. With first-hand narrative of the detectives, along with their families, the victim’s families and other law enforcement involved, the show reveals the impact these horrific crimes had on everyone involved. The remarkable stories demonstrate how the detectives put everything on the line to help grieving families find justice while becoming ingrained in their lives forever. “In Defense Of” premiering Monday, June 25 at 9pm ET/PT gives viewers a unique perspective on some of the most high profile cases from Timothy McVeigh, Jodi Arias, Branch Davidians member Clive Doyle and Ted Bundy as they turn the lens on the top defense lawyers who represented them. The attorneys will share riveting details from the most personal moments between attorney and client to the individual sacrifices made in order to represent these infamous cases. Each episode will detail the evolution of their relationships and have you questioning your own preconceptions of each case. “The Price of Duty” is produced by The Intellectual Property Corporation (IPC) with Eli Holzman, Aaron Saidman, Bill Pruitt, Jackson Nguyen and Todd Crites serving as executive producers. What do you think? Do you watch true crime shows? Will you check out The Price of Duty and/or In Defense Of? More about: In Defense Of, In Defense Of: canceled or renewed?, Oxygen TV Shows: canceled or renewed?, The Price of Duty, The Price of Duty: canceled or renewed?